Customers enjoy transparent, fixed rates with no hidden charges. Get a quote from an energy advisor today. Quick and helpful service is just a click away. Cut your carbon footprint today. Looking to make an energy price comparison? We can also help you compare your current electricity rate to US and Texas averages. Who knows? Maybe you’re paying too much. At any rate, with Amigo Energy, you can rest assured that you’re getting competitive electricity prices and a transparent contract with no hidden fees. Most retail electricity providers market to consumers using eye-catching special offers advertising cheap energy. These offers might work for you in the short term, but in a lot of cases they end up just being more hassle than they’re worth. Why is that exactly? First off, with a lot of energy plans, your rate is subject to the whims of the market. Secondly, most electric rates don’t bundle Transmission and Distribution Service Provider (TDSP) fees into your rate, so it can end up costing you more than advertised. With Amigo Energy, you can pick an energy plan that bundles TDSP fees into your rate. It’s a fair question. Think about it, though, fossil fuels are not unlimited—someday they’ll run out. Because of this, fossil fuel prices will continue to rise, which means you’ll probably continue to pay more. And, honestly, there is very little difference between fossil fuel and renewable-energy rates these days. Have you ever forgotten to send your bill in the mail? For a lot of non-Millennials, this was a common experience. What about being on hold for what seems like a millennium? Sound familiar? That’s what you still get with most retail electricity providers: bad tech or even no tech. What does an electric company with good tech look like? To start with, they offer a sleek mobile experience, user-friendly desktop access, and other responsive, digital ways to remain updated and get service. On top of that, they feature advanced equipment like smart thermostats. Saving energy has never been easier when you choose the right light company. Lucky for you, Amigo Energy specializes in helping our residential and commercial customers save energy, which can help save you some extra bucks on your electric bill at the end of each month. Not only does Amigo Energy feature useful resources on our blog, but we have the right technology to help you track your residential electricity usage and take actions that may help with energy savings. 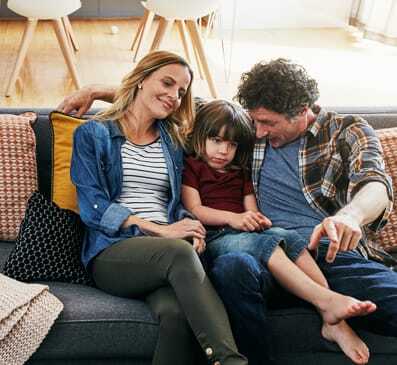 We offer the latest technology, like phone apps and smart thermostats, so you can worry less about your electric bill and focus on what really matters in life. Control your home's temperature and optimize your energy usage from any web-enabled device. Stay up to date and make changes to your account from your phone while you're out and about. Learn how to make your home more energy efficient by reading informed posts on our blog. What the Heck Is Energy Deregulation? Don’t worry, you’re not the only Texan scratching their head. Light companies like Amigo Energy operate differently than utility monopolies in other states thanks to Texas retail energy laws—giving you the power to choose your electric rate and contract terms. 7To be eligible for the Amigo Energy Perks Rewards Program, a valid e-mail address is required. Amigo Energy Perks points are redeemable for energy efficient products, gift cards and/or a Amigo Energy Visa® Prepaid Card. Amigo Energy Perks points are not legal tender, have no cash value, and are not redeemable for cash unless required by applicable law. A 50% discount off energy efficient products will be applied at the time of purchase. Amigo Energy Perks points expire after three years, except in Ontario and Quebec, and may be redeemed as long as you remain an active Amigo Energy customer with an account in good standing. Amigo Energy reserves the right to limit future grants of Perks points in its sole discretion, which may include not granting points to or suspending points for active customers with a past due balance.